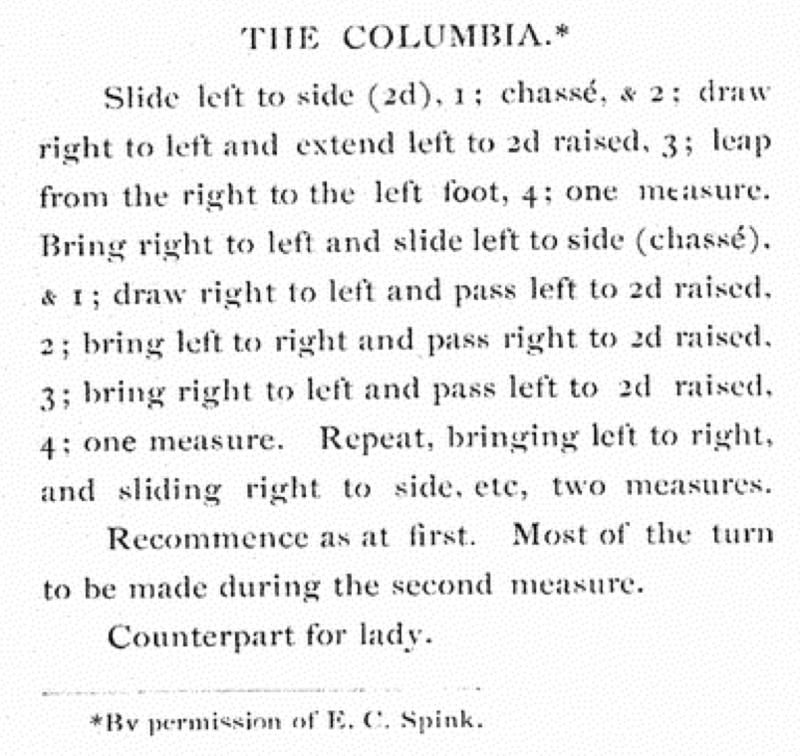 Below, you will find a description of the Columbia Schottische as taught by Richard Powers, followed by related descriptions of The Columbia as danced in the 19th century. Begin with the held hands pointed along LOD, the Lead facing the outside wall. 1 &2: Beginning with leading foot, slide-close-slide along LOD. 3: Cut trailing foot under leading foot, slightly raising leading foot, pointed along LOD. 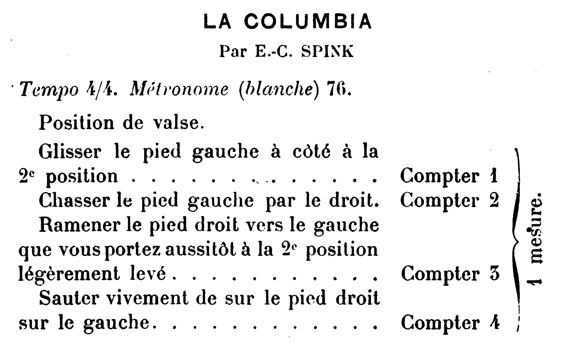 4 &5 6: Repeat the first three counts. 7: Cut leading foot under trailing foot, slightly raising trailing foot, pointed against LOD. 8: Cut trailing foot under leading foot, slightly raising leading foot, pointed along LOD. 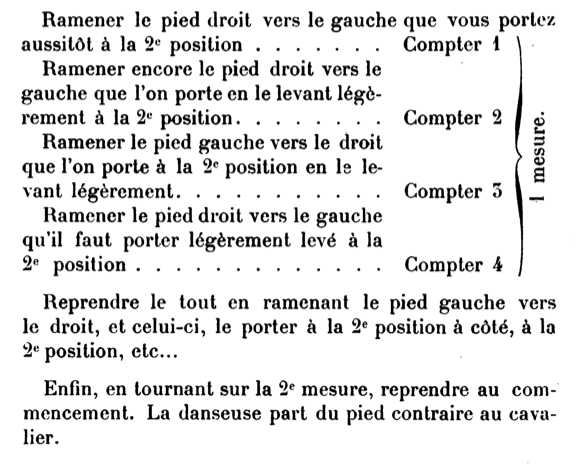 9 &10, 11 &12, 13 &14, 15 &16: Two full turns of turning Two-Step (4 x "side-close-around/between"). Gilbert 1890 and Lopp 1903 credit the dance to E. C. Spink. 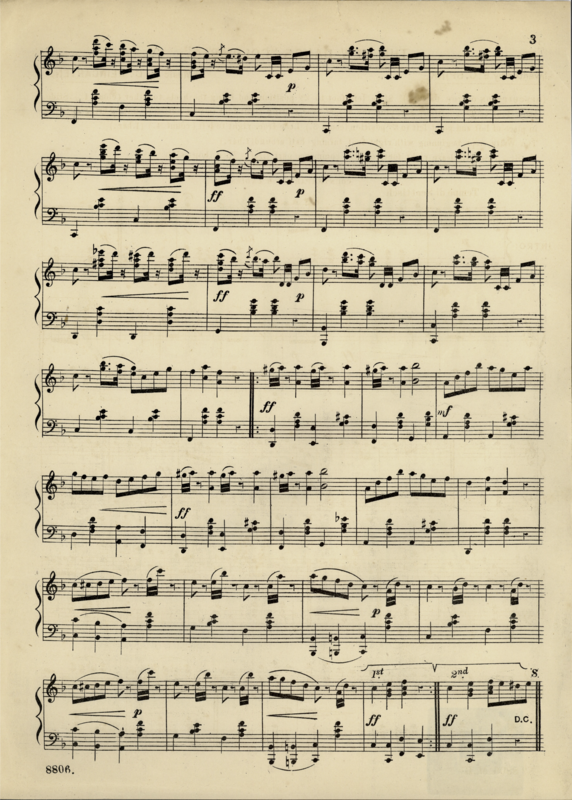 An original description by E. C. Spink (undated), with music by G. Weingarten, can be seen below. 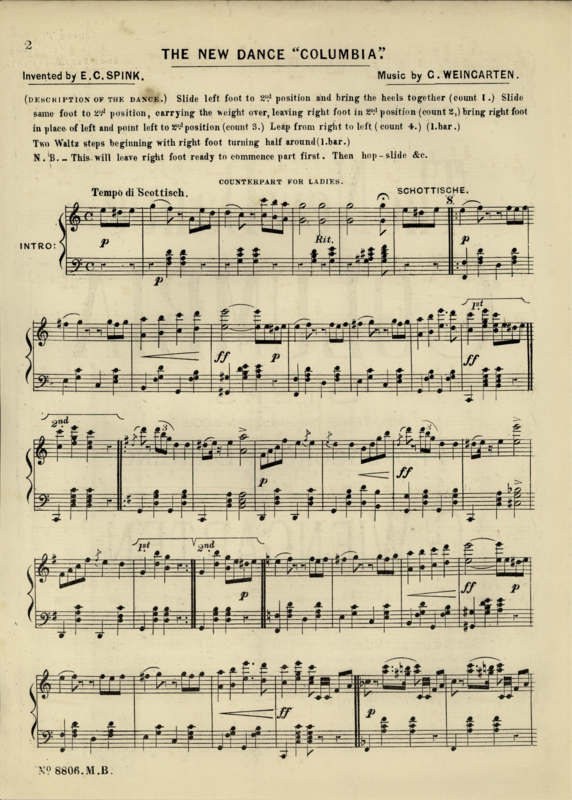 The Columbia is referenced as being danced to schottische music in The Alton [Illinois] Evening Telegraph from September 18, 1886, and a dance called the Columbia Schottische is listed in The Philipsburg [Montana] Mail of September 10, 1891. Lopp 1903 recommends a tempo of 76 bpm.